So it is finally happening. The rumor that was first leaked by the undefeated five-division champion almost a year ago has finally come to the reality. 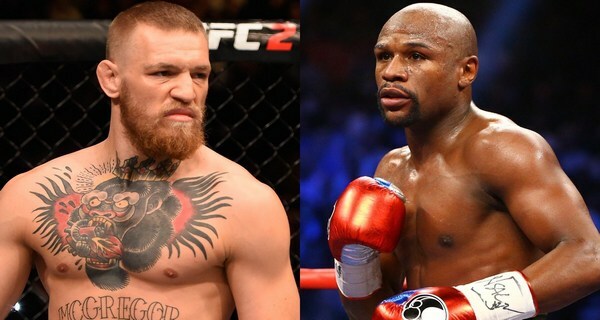 Conor McGregor vs Floyd Mayweather bout is all set to take place later this month. The two of the greatest athletes of their time will meet on 26th of August to be more specific. Las Vegas’ MGM Grand Garden Arena will get the honor of hosting yet another dream-fight, having already hosted the Floyd Mayweather vs Manny Pacquiao ‘fight of the century’ two years back. With less than a month remaining in Conor McGregor vs Floyd Mayweather showdown, the whole world is going mad about one of the biggest boxing matches in history. Fans from both sides are up with their money ready to bet it all on their favorite. While the odds are pretty much in favor of Floyd Mayweather as he has been undefeated throughout his boxing career against the very best opponents. The fact that ‘The Notorious’ one will not prove to be a piece of cake cannot be ignored. Conor McGregor has never been in a boxing ring before. Turning into a boxing ring from a UFC octagon is one of the many minuses he will be facing in bout against Mayweather. On the other hand Floyd Mayweather has a glorious 49-0 career record in his name. The 40 years old is coming out of his retirement to fight the Irish. And getting knocked out by the hands of an opponent who is not even a professional boxer does not seem right. “Who will be the winner of Conor McGregor vs Floyd Mayweather bout” is something that cannot be afforded to answer right now. Although it’s been said that the fight is already an 80-20 in favor of the American, McGregor’s followers won’t give up that easy. 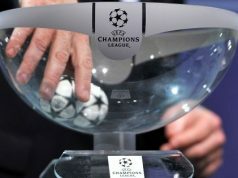 They are putting their money knowing the fact that their man has very less chances of winning this one. Apart from their adoration for the Irish that patronizes them to back him, there are a few facts that could bring out something really bizarre as an outcome of ‘The Money Fight’. No we are not here to declare who is coming out victorious in Mayweather vs McGregor fight. But these facts cannot be simply ignored as well. After all Conor McGregor is also a fighter, isn’t he? Floyd Mayweather is aged 40 while his opponent is only 29 year old. Though age not a conclusive factor, would be somehow effective during the bout. Boxing bouts being a maximum of 12 rounds long cannot be won just by aggression. But to last until the final round one also needs to have an unshaken stamina. Floyd Mayweather though not olden enough to lose, will need to play it safe. On the other hand he is also the one with loads of experience. Not to forget Mayweather had already announced his retirement after winning the Floyd Mayweather vs Manny Pacquiao fight. So basically it’s been two years since he last stepped inside a boxing ring. Of course he is not fool enough to put his luminous 49-0 record on the line without the proper preparations. But it will be interesting to see if he experiences any ring rust coming against one of the very best fighters in UFChistory. Throughout his career Floyd Mayweather has been pretty much relying on his defensive tactics. His defensive ability made him almost untouchable in his entire career. However again at the age of 40, how long he will be able to stand against one of the most aggressive opponents would be worth watching. The latter being an offensive machine, Conor McGregor vs Floyd Mayweather bout should be an offence vs defense show. In Conor McGregor vs Nate Diaz fight last year, the Irish landed 164 out of 286 strikes thrown for 57.3-percent accuracy. Though he has to make adjustments in the boxing ring but a knockout is a knockout after all. Despite having a gleaming 49-0 career record, Floyd Mayweather is not totally invulnerable. At least as per some of his past opponents. The 40 year old money-make has been struggling in bouts against the left-handed opponents. “I’ve preached this all along. The left hand is the Kryptonite for Mayweather,” Oscar De La Hoya exposed Mayweather in 2015 before his fight with Manny Pacquaio. “He just does not know how to block a jab. It’s just not part of his arsenal. 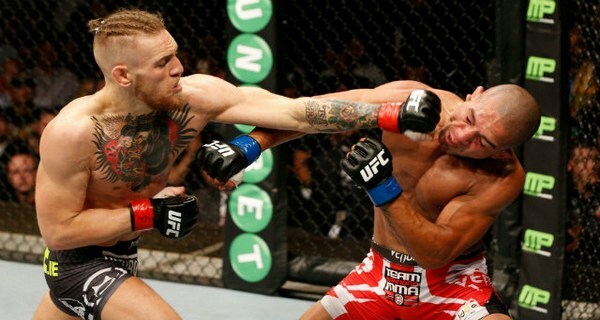 It’s not a part of his defense, blocking that jab.” Conor McGregor on the other hand is a natural left hander. Conor McGregor vs Floyd Mayweather fight will take place in 154 pounds, a clear advantage for McGregor. 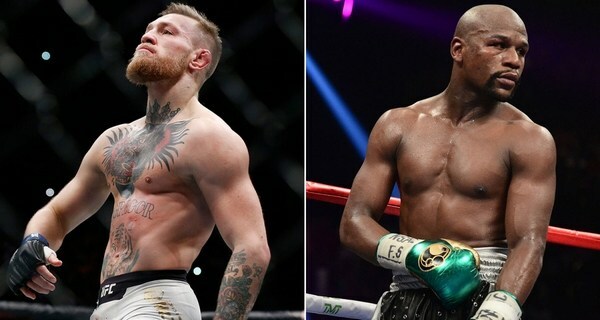 Though not to forget that Floyd Mayweather has fought some of the biggest fights of his career at the same category but considering the current scenario McGregor will be in advantage as he does not need to cut as much eight. 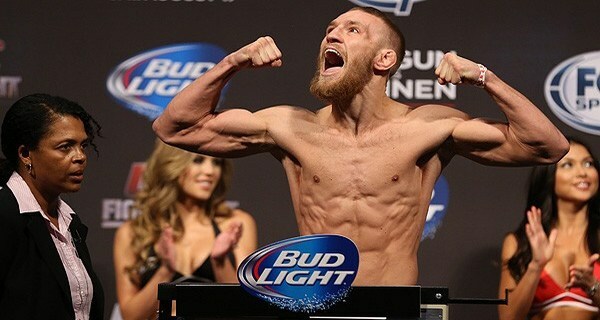 Conor McGregor most recently fought in 155 pounds which gives him clear advantage to be in a perfect shape ahead of the year’s biggest bout.